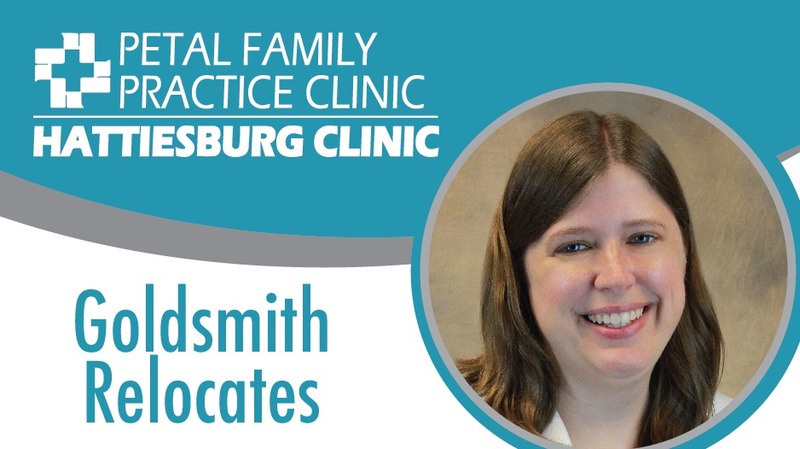 Shannon L. Goldsmith, DO, has relocated her practice from 206 Old Corinth Rd. in Petal to join her colleagues at Petal Family Practice Clinic, located at 50 Parkway Lane in Petal. Goldsmith is a family medicine physician providing comprehensive evaluation and care to meet the overall health needs of her patients. Additional providers at Petal Family Practice Clinic include Donald V. Conerly, MD; Robert F. Heath, MD; Rodney N. Lovitt, MD; Keith M. Simnicht, MD; and Marcus D. Finch, III, PA-C.
For more information or to schedule an appointment with Dr. Goldsmith at Petal Family Practice Clinic, call (601) 544-7404.